Have you ever thought about worship being anything other than for and to God alone? Most of us, hopefully all of us, will know that ‘worship’ is more than just singing, but have you considered the possibility that its role is not just for an ‘audience of One’? I’ve been challenged by a book I’ve recently read, called ‘Rhythms of Grace’ by Mike Cosper, in which he explains a concept he calls ‘Worship: one, two, three’. Three audiences (God, the Church and the World) – Who sees the worship of our hearts, minds, and actions, and hears the worship of our words? Not only God, but we observe and imitate one another, and non-believers are also observing our worshipful lives. This Sunday, Neil will be speaking from 1 Thessalonians, Chapter 2 v 17 to Chapter 3 v 13, in which Paul shows his passion for community and relationships within the church. It’s important to remind ourselves that this is not an individualistic faith, but one of community, and God calling and building a people for His glory. When we sing, pray, and give testimony in church, we are not only expressing our love and gratitude to God, but we are declaring truths to one another, and reminding each other of the big story of life, which is the lens through which we see and live the whole of our lives. 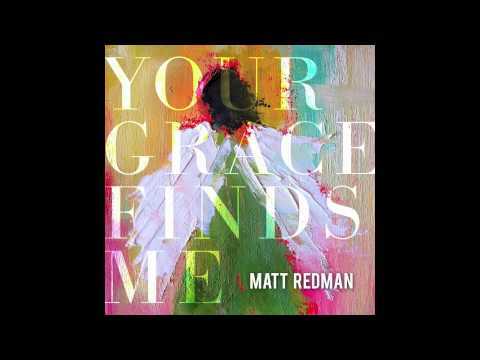 ‘Benediction’ by Matt Redman is one of the few modern worship songs which encourages us to sing to one another, as well as to God. I hope this simple song will bless you, and that you come to church on Sunday ready to bless others, as well as to receive.